Gummy Bear Implants are the very latest in breast augmentation technology and offer the benefits of being able to choose size and shape of breast implants not recently possible with conventional silicon style implants. 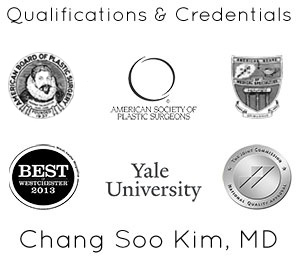 And now Bellava MedAesthetics & Plastic Surgery center has the expertise of MD Board certified plastic surgery specialist, Dr. Chang Soo Kim. 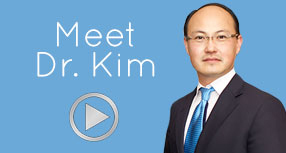 Dr. Kim specializes in Gummy Bear Breast Implants. Gummy Bear Breast Implants are different than conventional implants in that they are a singular form and cohesive and flexible. What this means is that there is now less chance of implants rupturing and leaking which can cause some health concerns. Because of this, Gummy Bear Breast Implants are the most cost effective and longest lasting breast implant over traditional style implants. If you are wanting more information on Gummy Bear Implants in New York, then you should contact Bellava MedSpa & Plastic Surgery Center in Westchester. Our facility is high class and uses state-of-the-art equipment and you are guaranteed the most enjoyable experience in getting the desired results you want. Bellava’s Gummy Bears Westchester, NY location is calm and relaxing, allowing you to be in the best state possible before and after surgery. Our Westchester medspa facility is warm and inviting and your treatment and care will be first rate. Let us help you with your breast augmentation needs. Call us today at 914-864-2140 or contact us online to schedule a free consultation. The benefits of Gummy Bear Implants are that they are the newest generation of FDA approved implants that have a more natural look and feel over other traditional style breast implants. There are fewer complications because of the Gummy Bears single cohesive form. This means that it is made of a solid type gel which is resistant to breakage, rupturing, or leaking. Gummy Bear Implants come in a variety of shapes and style to match your body type. Gummy Bear Implants can be used for reconstruction surgery as well. Because of the way Gummy Bear Implants are made, the design ensures they will last longer with far fewer worries of complications and are cost effective due to their longevity. The different variety of sizes and shapes or options are low, moderate, and high profile, and can have an oval or tear drop shape. The advantage of the Gummy Bear Breast Implant and the material it is made from is that Gummy Bear Implants ‘bounce back’ after touch and retain their shape and have more natural look and feel. Call Bellava MedSpa & Plastic Surgery Center in Westchester today at 914-864-2140 or contact us online to schedule a free consultation and learn more about Gummy Bear Style Breast Implants. The consultation is completely confidential and we value your privacy. Our professional staff understands your needs and desires and wants to help you achieve the look you desire. Our Westchester medspa facility is warm and inviting and your treatment and care will be first rate. Let us help you with your breast augmentation needs.